e-books for FE is now on Twitter. Follow us from your institution, library or personal account for the latest news, updates, top tips and promotions of the service. e-books for FE queries Please direct all queries to content.feandskills@jisc.ac.uk rather than emailing the FE and skills team directly. This ensures that your query can be responded to as soon as possible, and also ensures that both your query and the resolution are formally recorded. We also have our new e-books for FE support site, which launched in October. We encourage you to use this as a first port of call for any queries you may have. The support site features guides, FAQs and top tips to help you embed e-books for FE into the curriculum. From Monday 5th November, GCSE resits begin across the UK. Our service contains over 50 curriculum mapped e-books to support GCSE English and maths resits, covering all major exam boards. The full title list can be found here. Please share this with the relevant curriculum leads in your institutions to ensure that students are aware of this valuable resource. Well done to all users who reached a spot in September’s top 20, and a special congratulations to the top 5. The FE and skills team thank you for your promotion and use of e-books for FE. Well done to The Cheadle and Marple College Network, who are the number one user for the second month running. 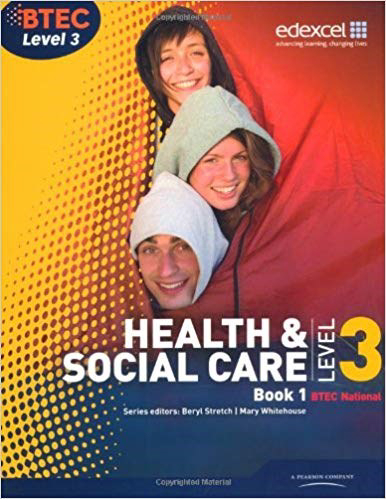 October’s most used e-book was BTEC Level 3 National Health and Social Care: Student Book 1, for the second month running. This month it received 11,402 uses, which is 2,934 more uses than September’s total of 8,468. Our LRC Staff have been really impressed with ‘CACHE Level 2 Introduction to Early Years Education and Care’ by Carolyn Meggitt, which has made this month’s most popular e-book at Ashford LRC again. The lecturers have advised the students to download the e-book to help with their work within the classroom and from home. The students have been impressed with the ease of access with the option to put onto their mobile devices. Most importantly is the wealth of knowledge that is provided by the e-book. It holds a wealth of information specific to the care industry, endorsed by CACHE for the new qualification and written by Carolyn Meggitt who is an expert within this field. This book is a great resource and we would like to say thank you for including this title in the e-books for FE service. e-books on Instagram – is this the future of the e-book? In August 2018, the New York Public Library (NYPL) introduced InstaNovels, a concept which re-imagines Instagram Stories as a platform for sharing e-books. The NYPL the aim to make some of the greatest stories ever written more publicly accessible and able to reach new audiences. The program was first launched in August with a digitised retelling of Alice’s Adventures in Wonderland, and in October the latest InstaNovel was released; the short story The Yellow Wallpaper by Charlotte Perkins Gilman. To read the InstaNovel, go to the Library’s Instagram account and select The Yellow Wallpaper in the highlights section, under the bio. The platform opens up new possibilities for sharing e-books, and using technology and social media to bring stories to life and engage classic literature with new audiences. Which classic story would you like to see digitisied as an InstaNovel? Let us know here.